Made for iPhone (10) ? Widex is one of the world's largest hearing aid manufacturers – and one of the best. Founded in 1956 and headquartered Denmark, this family-owned company is known for its singular focus on audiophile-pleasing hearing aids. While the company aims to stand in a class of its own, it does share something with a few of its competitors. Location. Widex and two more of the six biggest hearing aid manufacturers in the world have their global headquarters in the Copenhagen area, just a few miles apart from one another. Along with a such a concentration of audio engineering talent, comes fierce competition at home and abroad, in the more than 100 countries where Widex hearing aids are sold. How does Widex stand out from the crowd? If companies could have a personality, Widex would be an avowed perfectionist, and wouldn't have it any other way. It's about quality, not quantity with this company so Widex hearing aids don't necessarily offer different features than other hearing aids - just a higher performance level than average. Widex attributes its success to an "uncompromising approach to innovation" and a mission to provide the "absolute best hearing aids". The company's unabashed assertion that "we develop digital technology at a level of quality that few can match" feels not so much like an expression of arrogance, as a philosophical credo – and maybe a slightly goading challenge to competitors. Widex has long enjoyed a reputation for designing superb hearing aids endowed with a warm, balanced, natural sound quality. Outdoor enthusiasts tend to appreciate them for uncommonly effective wind noise reduction – arguably, the best in the industry – while musicians enjoy their dynamics and great tone. Of course, what sounds best is a matter of personal opinion, especially when it comes to music. 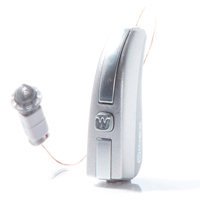 Still, Widex hearing aids have something of a signature sound that a lot of people love. A purist-level of commitment to producing the best hearing aids sometimes means spending a little more time perfecting technological advancements before making them available to consumers. For instance, other manufacturers were quicker to introduce made-for-iPhone hearing aids. But Widex partnered with the world's leading Low-Energy Bluetooth company to first the most battery-saving wireless streaming technology in the industry. At the same time, they also improved the fidelity of the audio, and only then launched the Widex BEYONDTM hearing aids with made-for-iPhone connectivity. We like that BEYOND hearing aids include a telecoil in addition to 2.4 GHz Bluetooth. By comparison, other made-for-iPhone hearing aids exclude the telecoil to make room for a 2.4 GHz Bluetooth radio. Though telecoils don't sound as good as the more modern 2.4 GHz technology, they work with induction loop audio accessories previous hearing aid wearers may already own, and with the hearing loop systems installed in many public venues and places of worship. Here at ZipHearing, BEYOND made-for-iPhone hearing aids, and UNIQUE are our best-selling Widex hearing aids. BEYOND hearing aids come only in the popular RICstyle, while UNIQUE hearing aids come in just about any style, from invisible in-canal models up to high-powered behind-the-ear models (and everything in between). Making sense of all the different options can be challenging, so here is what you need to know to begin exploring the choices. First, UNIQUE hearing aids come in four performance levels: 110, 220, 330, and 440. The higher the number, the higher the performance level. Second, the name UNIQUE refers to the platform or operating system of the hearing aid, not necessarily the specific model. Most models also have a name of their own, indicating the specific style of UNIQUE hearing aid. For example, the UNIQUE PASSION and UNIQUE FUSION hearing aids are a RIC style, whereas all three variants of the UNIQUE FASHION hearing aids are a BTE style. Third, if you need help deciding, we are here to help. Contact us by phone or email! In the sections below, you'll find information on Widex's current and most popular hearing aids models, along with pricing and feature information so you can determine which Widex hearing aid is appropriate for you. If you're simply looking to get your Widex hearing aids repaired, or looking for Widex parts, like wax filters or domes, feel free to give us a call and we'll point you in the right direction. Otherwise, feel free to review the popular models below, and at the top of this page you'll find links to each Widex hearing aid model, along with prices, features, and online ratings, and more in-depth Widex reviews on each product page. Widex BEYOND hearing aids are based on the UNIQUE platform, and include 2.4 GHz made-for-iPhone Bluetooth connectivity. This makes it possible to stream audio from phone call and other media directly from Apple mobile devices to the hearing aids. The hearing aids function like a wireless headset. During calls, the hearing aid microphones will pick up your voice for the other caller to hear. No additional accessories are required for streaming from Apple devices. To stream from Android-based devices you will need an intermediary streaming device. Widex offers several varieties in the DEX line. The CALL-DEX, for example, is an ultra-compact device, about the size of a pack of gum, that plugs into the phone's audio jack. It's a convenient and more discreet option than using a neckloop. DEX accessories connect to the hearing aids via telecoil, not through Bluetooth. BEYOND hearing aids can be controlled directly from compatible Apple or Android devices, using the BEYOND app. The app includes independent control of left and right volume, an equalizer for adjusting the tone of the hearing aids, a sound mixer for adjusting the balance between audio streaming and other sounds, and control of the hearing aids' directional microphones. Widex has recently added geotagging to the app, allowing the hearing aids to automatically activate your favorite listening settings based on your location. The app also has location services to help you find your hearing aids if you misplace them. Another interesting feature of the app is that it can be used to update BEYOND hearing aids with performance enhancements or improved functionality. This will allow minor adjustments without requiring a visit to your hearing care professional. It also means the hearing aids have the potential to improve long after the initial purchase. Whether you choose the 220, 330, or 440 performance level, all BEYOND hearing aids include direct audio streaming from compatible Apple devices, a telecoil, and ear-to-ear connectivity that enhances directional noise reduction. All performance levels include automatic adjustments for effortless switching between listening programs as your listening situation changes. All include directional microphones for improved speech understanding in noise as well as noise cancellation technology. If wind noise reduction is a priority, you will need to choose the most advanced performance level (440) as this feature is only included at that level. To finish the package, BEYOND hearing aids have a smooth, comfortable design with a classy modern appearance. They are available in 15 stylish two-tone colors from "midnight black" to "shocking pink". Sound quality is your top priority, especially for wireless streaming, music, soft speech, or windy situations. You want made-for-iPhone hearing aids that also include ear-to-ear streaming and a telecoil. Ideal for movie lovers, world travelers and anyone who frequently uses hearing loop systems in theaters, train stations, churches, meeting rooms, and other venues. BEYOND Z hearing aids are the rechargeable version of Widex’s BEYOND made-for iPhone hearing aids. Like the standard BEYOND hearing aids, BEYOND Z are built on the UNIQUE platform. They feature 3.4 GHz Bluetooth connectivity, for streaming audio directly from Apple mobile devices, and they sound great. Unlike some other brands, Widex does not sacrifice hearing performance to give you rechargeable batteries or make you choose between functionality and convenience. BEYOND Z hearing aids are exactly the same as BEYOND, but with long-lasting silver-zinc rechargeable batteries. The newest type of rechargeable batteries for hearing aids, these hold more power than other types of the same size, including the older NiMH (Nickel-Metal Hydride) type. They are also safer than the Lithium-ion batteries commonly found in phones and laptop computers. BEYOND Z’s rechargeable batteries last all day on a single charge, and usually recharge in about 3-4 hours. If you forget to recharge them or want to leave the charger at home while travelling, no problem. BEYOND Z can also run on ordinary disposable Zinc-air hearing aid batteries. Thanks to Widex’s power-conserving Bluetooth technology, disposable or rechargeable batteries can power long hours of audio streaming with BEYOND Z. You want the longest audio streaming time from a rechargeable made-for-iPhone hearing aid. You want made-for-iPhone hearing aids that also include ear-to-ear streaming and a telecoil. Ideal for movie lovers, world travellers and anyone who frequently uses hearing loop systems in theaters, train stations, churches, meeting rooms, and other venues. Widex UNIQUE hearing aids are built on the same platform as BEYOND. The difference is that UNIQUE hearing aids come in a wider selection of styles and with one additional performance level (110), but do not offer direct connectivity to mobile devices. These hearing aids can still stream audio from compatible Apple or Android-based devices, with the help of the COM-DEX streamer and COM-DEX app. They are also compatible with the rest of the DEX assistive listening devices. UNIQUE hearing aids automatically adapt to your listening situation in up to nine distinct sound classes ranging from quiet to noisy, with or without conversational speech, and music. Most UNIQUE styles include sophisticated directional processing that relies on wireless communication between two hearing aids to help cut background noise while maintaining a natural sound quality. All performance levels also include Widex's Zen Therapy for tinnitus. Zen's soothing “fractal tones” never repeat and are specifically designed to mask tinnitus and also encourage relaxation. Zen tones sound similar to a gentle wind chime. Sound quality is your top priority, especially for music, soft speech, or windy situations. You don't hear high pitches well, even with hearing aids, and want to try frequency-lowering technology. 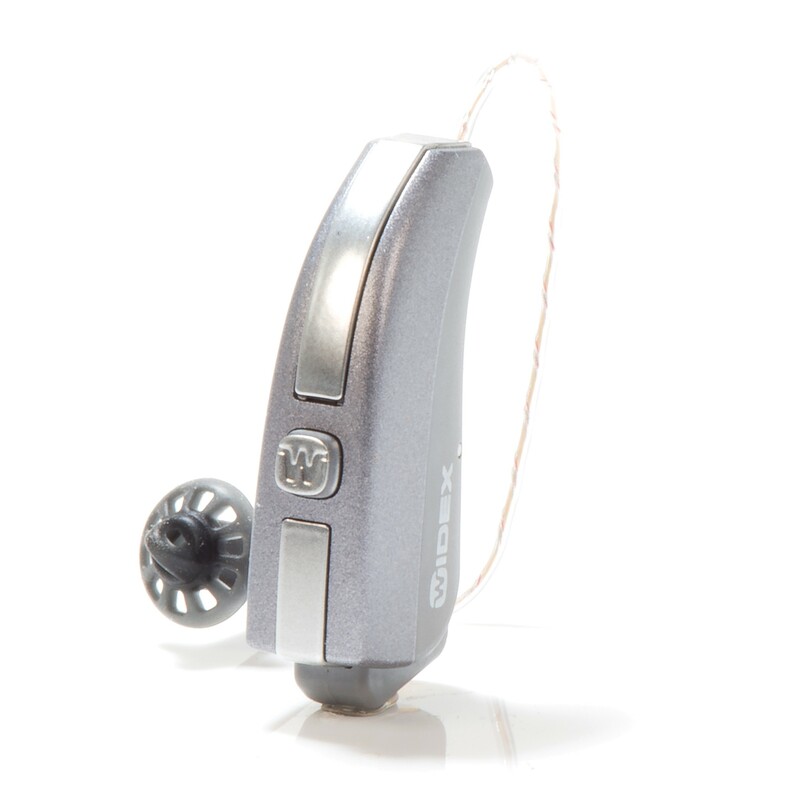 These hearing aids can shift high-pitch sounds in a lower range to make them easier to hear. VERIFIED BUYER | Libertyville, IL	? I am a first time hearing aid user. I chose Widex hearing aids for the amazing reputation they have. I also needed a tinnitus program to use as needed with my hearing aids. The wind chimes worked and were soothing and did not seem like just an added noise. I understand Widex is a leader in the hearing aid industry. So far the sound seems very good and I am finally able to turn the tv volume down. Thank you Widex! VERIFIED BUYER | Yellow Springs, OH	? The sound quality is outstanding for these Widex hearing aids. I can if I wanted to hear a pin drop at 50 yards....just kidding. They are great I have for the first time been able to hear the turn signal on my Honda CRV. I like that they are color coded to tell you which ear and then as a back up tell you when you place them in your ears. The app for your smart phone is a nice addition where you can change the program without pushing a button on the ear piece. The microphone in the ear is a nice addition as well as the very thin wire running from the behind the ear piece to the ear canal. People who know me with another brand think I don't have them on. The intuitive program is a joy to behold. No longer do I have to push buttons to change programs the Widex universal does it for me without my really noticing anything except I can hear whatever is being said whether in a crowd, one on one , in the car etc. I love them and the price was reasonable. My hearing aids are much better than the pair that has been replaced. The app process was a bit confusing and the manufacturer customer service lacks in service, though. The different settings will be interesting - I am not sure yet how that will be and I look forward to learning. It will be nice to hear better than I have been. VERIFIED BUYER | Bronx, NY	? Excellent sound, very clean in what I want to focus on. Very confortable, reliable and durable. I have no complaints, it's the best hearing aids I've ever had. The experience for the 8 days I have is wonderful, it's more than I espected. The app is very funcional for especific sound I whant to listen. Thank very much for the experience! Took a walk with my wife on a very windy day. Halfway I realized we were talking very comfortably in that setting. I would have had to remove my Oticon Alta pro HAs, in that wind. I am into them one week, still a trial. Sound Sense Learn program has much potential. Would prefer a little more functionality on the Com-Dex. Battery life on Com-dex is 1/2 of Oticon Streamer pro, but Com-dex is 1/2 the size (nice) and fast re-charge. I have been Oticon for several generations. Thought I would dismiss the Evoke in two days of trial. That is NOT the case. So far they are well "Beyond" :) my expectations. Will gauge them against Oticon OPN for a fair comparison. VERIFIED BUYER | Parkland, FL	? Sound quality is generally quite good. I find that sometimes they are amplifying other annoying sounds that I don't need to amplify. And there are still some instances when conversations are not full intelligible. But all in all they are working fairly well. I am still in my trial period so will make a final determination in the next week or two. I had my Widex Beyond 440s fitted 2 hours ago. I really, really like them. I have been using Starkey in the ear devices for 3 years. They went in for repair for the 4th time so I decided I need a backup. The Widex is so much better the Starkeys will be my backup. I have one big complaint. The WIdex smartphone app is NOT COMPATIBLE with my ANDROID SAMSUNG J7 smartphone. The application says it works with Android 6 and beyond. I have Android 7.1.1.The Bluetooth will not connect. UNACCEPTABLE. Now I have to buy an iPhone if I want to take advantage of all the available technology. I feel that is not acceptable. There are far more Android smartphones in use worldwide. VERIFIED BUYER | Hudson, FL	? I bought the Widex Fusion 2s about 2 weeks ago, they are my first hearing aids. These are the behind the ear model. My hearing quality before the aids was 'profoundly impaired" with a 60db roll off on the right ear and a 40 roll off on the left ear both roll offs at frequencies above 8K hz. The improvement in hearing is quite good - some tuning by the audiologist is always needed. The functionality (connection to phone via blue tooth) is super great - you can answer calls without lifting the phone to your ear and Siri comes over the phone for directions and you can stream music. Comfort is good (not great) I had ear molds done and the fittings are made out of harder plastic - I'm looking for a place to do the soft ear mold inserts. There are softer inserts available if you don't want the ear mold versions.There are many functions you can adjust and you can save favorite settings for different environments which is vey handy. SO far so good. They are very expensive but I can hear things I haven't heard in years. My family is glad I got them so they don't have to repeat as much. VERIFIED BUYER | New Kent, VA	? The quality of the sound is great, as well as the fit. The experience at the provider's office was wonderful, we couldn't have asked for better service. We also saved a great deal by using ziphearing.